Do you wonder how these women restarters got back to work AND managed family & children, AND their personal & professional goals, while making time for themselves as well? We're bringing them to you, to get those questions answered. You loved last year's Restar Panel success. Now come be part of the inspiration again. And use it to fire into your restart. Listen to what our women restarters have to share, about the challenges and triumphs of their second career journeys. Discuss the hurdles in your path with them if you wish, and draw the inspiration YOU need from these face to face sessions. 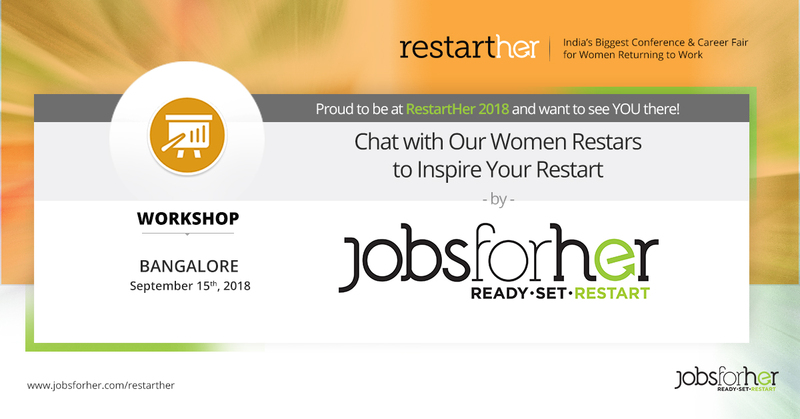 Chance to meet women restarters face to face. Motivation to begin and stay the course of your second career. Ways to address obstacles in the path - such as self-confidence, reskilling, work-life balance and more. Networking with other like-minded women at the session.